Amazing 24x Optical Wide-Angle (26-624mm) Zoom-NIKKOR ED Glass Lens - quality optics provide exceptional images. The lens is built on a proud heritage of producing precision camera optics that deliver superb colour and razor-sharp results. This amazing lens offers unbeatable compositional freedom with its wide-angle (26mm) to super telephoto coverage (624mm). Sweeping landscapes can be captured as well as zoomed-in close-ups of the action taking place on the baseball or soccer field! New EXPEED image processor ensures high-quality pictures with stunning colour and sharpness. Nikon’s comprehensive digital imaging processing concept incorporates know-how and technologies accumulated throughout our long history of photographic and digital imaging development. EXPEED is custom-tuned for COOLPIX and applied optimized technologies render natural-looking pictures of incredible quality and quick response so you will not miss that special moment. Nikon’s Optical VR Image Stabilization compensates for the effects of camera shake by moving the image sensor. This produces clearer, sharper results in lower lighting or unsteady conditions. Program, Shutter Priority, Aperture Priority and Manual Exposure Modes give you ultimate control over your pictures. 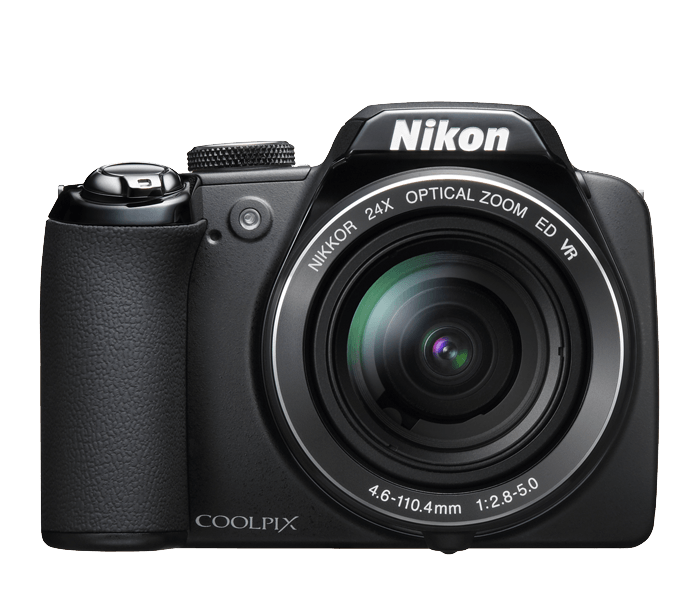 The D-SLR-type mode dial on the top of the camera provides quick access to greater personal and creative control. Now, you can adjust the camera’s settings for any type of light conditions and get as creative as you want!